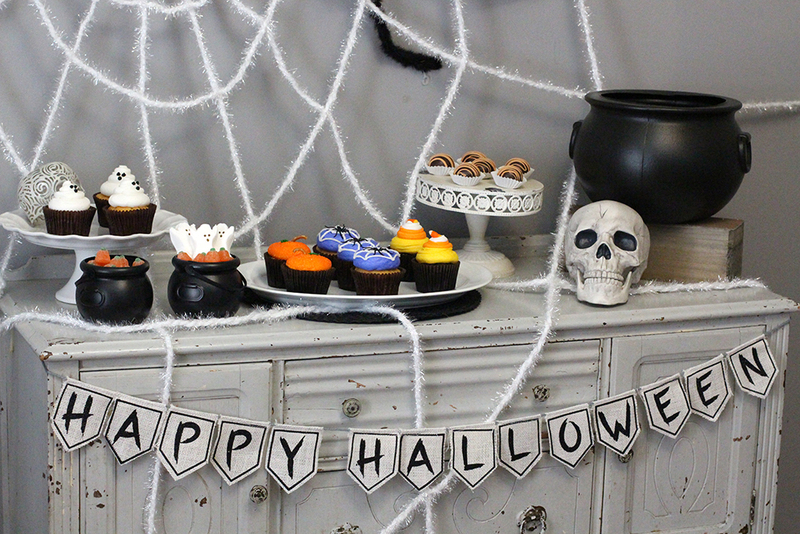 Halloween decor tricks and spooky Dallas treats for your best Halloween party ever! Happy (almost) Halloween! Every year, I host a Halloween party at my house and every year I try to change the decor a little to give it a different vibe from the year before! These spooktacular treats inspired me this year, so I'm showing you this traditional Halloween setup as well as a Dia de los Muertos setup! I love hosting parties and entertaining in my home, but it took me a while to realize that not every square inch of my house has to be covered in themed decorations; now I know that a few key areas of decor or a recurring theme throughout the house made a huge impact with less time and money spent on decorating! 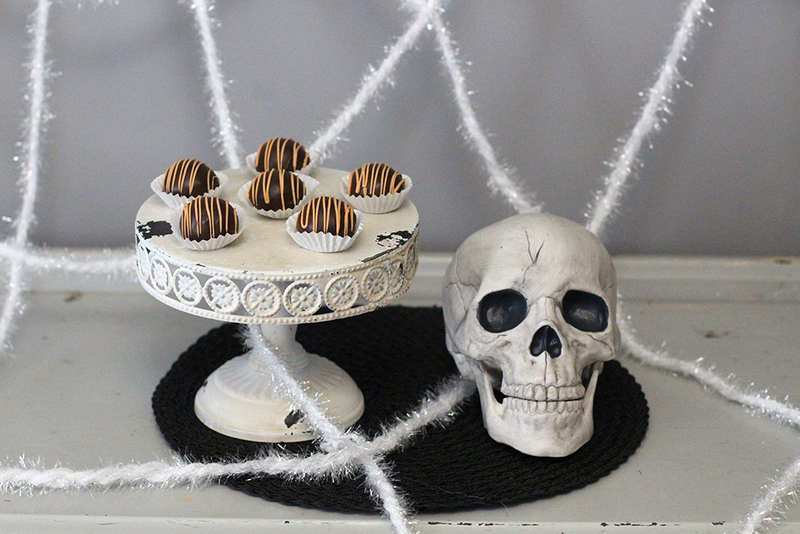 This year, I'm take a cue from my themed cupcakes and and incorporating a spiderweb theme into my decor, which is spooky and still a little more chic than tacky (right?!). 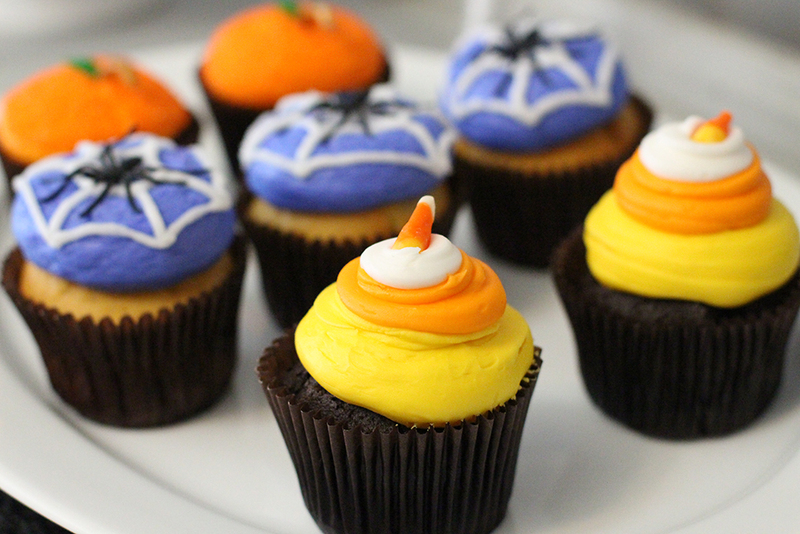 Dallas has so many bakeries to choose from, but I'm excited to tell you about a few who can help you take your Halloween party to the next level! The donuts in the photo above are from Jaram's Donuts and I will be posting more photos on Instagram, because all of their Halloween donuts are so cute! If you're a strictly "donuts are for breakfast" person, (we can't be friends, but also...) you should make it a fun Halloween morning and have some festive donuts with your coffee! These adorable (and delicious!) cupcakes are from Smallcakes, and I could not wait to eat one after this photoshoot! Candy corn, pumpkins, spider webs, ghosts....they created the cutest Halloween-themed designs for me and I love them! If you have any dietary restrictions or just looking for a slightly healthier option, you HAVE to visit Reverie Bakeshop! They are all plant based and vegan baked goods and have gluten free and raw vegan treats too! Their chocolate cake balls- oh my goodness. Let's just say that I didn't feel *as* guilty for eating more than one!! I LOVE this giant spiderweb and skull that helped me make my food display extra spooky this year! In the past, I've used regular cobweb that you have to pull apart, but it ends up getting in the food and all over people, so this giant web worked out so much better (and it's only $10)!! Thank you to Jaram's, Smallcakes and Reverie Bakeshop for providing treats for this post! If you want more Halloween inspiration, check out my Dia de los Muertos post.